Showing 1 articles from June 10, 2014. 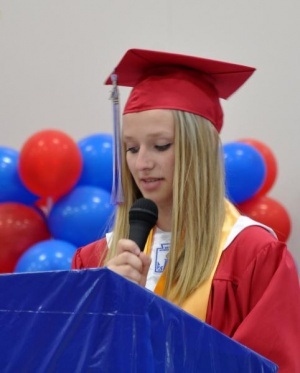 Photo by Steve Rogers...Valedictorian Emily Fluke presents her speech to the Willapa Valley graduating class. The three local schools held their graduation ceremonies over the weekend. In a monstrous act of community support, friends and families gathered together to shower the graduates with well wishes and encourage them to pursue higher education through several hundred thousand dollars in scholarships.